Happy Monday! Barb here from BugBites with a fun summer treat. It's Summer and that usually means camping, swimming at the lake and of coarse roasting things over a fire. Who doesn't love s'mores! S'mores aren't just for camping anymore! I used the Fancy Topper die and paired it up with the Got S'mores? stamp set. This stamp set had everything from the little recipe to the cute cookie treat image I added on top with a little twine and button. Go ahead and enjoy a little S'more! Looks like a tasty treat! Perfect for summer! This is adorable Barb! 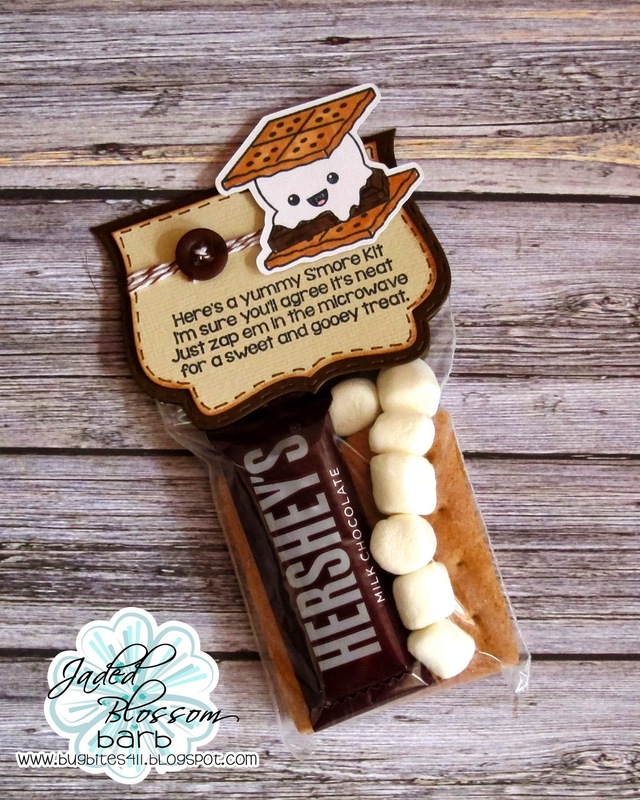 Love that cute little S'more and the fun matching sentiment!